Mark Knight’s legacy already ranks him as a leading player in dance music culture. His rise to the forefront has been more than just gigs and remixes; his contribution to the scene via his label Toolroom Records, demonstrates abilities that supercede the glorified title of ‘DJ’. This year, with a Grammy Nomination for work on the Black Eyed Peas’ multi-platinum album ‘The-End’, 3 of the biggest selling records on Beatport’s ‘Best Sellers List’; ‘Music Matters’ ‘Flauta Magica’ & ‘Good Times’, an IDMA nomination for his Toolroom Knights weekly radio show and a prestigious Beatport award for his single ‘Good Times’ - 2010 has most definitely been a year of colossal achievement. In 2004, with a personal vision for house music, Mark created his own workshop for 21st century dance musicians, Toolroom Records, and with it a new way of thinking. Since its launch, the Toolroom imprint has developed into an uncontrollable beast, celebrating success as the biggest selling label on Beatport and reaching the milestone of 100 releases in 2009 courtesy of Faithless. As a producer, Mark has built a reputation for outstanding releases; ‘Man With The Red Face’, ‘Downpipe’, ‘Good Times’, ‘Devil Walking’, consistently topping international dance charts, and has been involved in producing tracks for leading artists, including new output from Faithless and contribution to the latest Underworld album. As a DJ, Mark holds international prominence, recognised the world over for his extended 7 hour sets, headlining festivals and clubs from Ultra Music Festival Miami to the Terrace at Space Ibiza. In 2006, Mark’s belief and desire to inject freshness into a stale club scene, inspired him to programme his own parties, this concept became a reality with the launch of Toolroom Knights at Ministry of Sound, London in October ’06. Having gained unrivalled success as one of THE superior club nights, Toolroom Knights has gone on to generate great global success and support with Mark headlining Toolroom residencies at Cocoon Frankfurt, Space Miami, Ministry of Sound London, Pacha New York as well as hosting Toolroom arenas at key festivals including; SW4 London, Global Gathering UK, Dance Valley Netherlands. 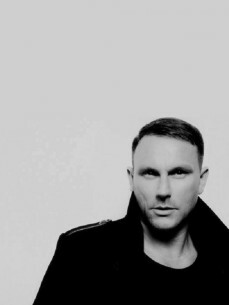 All in all, it’s been a BIG journey for Mark Knight, pioneering a sound and attitude that’s gained respect from fans and industry people alike hungry for the integrity of Mark’s production skills and quality of Toolroom Knights’ parties. And there’s so much more to come.